If you’re planning to build a website, whether as a personal digital space for yourself or an online home for your business – you certainly have many questions regarding domain names. We admit it: the wholesome domain industry can be rather confusing, especially if you come from a completely different, not-too-techy background. However, the internet is an incredibly versatile place and that’s the beauty of it. It would be rather boring if only those who knew how to code or those who fully understood the background of domain systems, created websites for themselves and their businesses. This is why we decided to gather the most frequently asked questions about domain names and answer them for you in one post. Not only that, but we will also suggest further readings where possible, so you can get a full grasp of everything domain-related. Snooping through Quora and different online communities helped us identify the main pain points of people who are interested in knowing more about domain names, but cannot push through the industry jargon. So, are you ready? Let’s dive in. 1. What are domain names and domain name systems? In everyday speech, we would say “the name of the website” instead of “domain name”. Each website has a unique IP (Internet Protocol) address that’s used for its identification in cyberspace. An IP address is a one-of-a-kind string of numbers that might seem nonsensical to humans, but actually represents numerical instructions computers understand. The moment you register a domain name, it gets tied to a specific IP address that’s like no other in the whole wide world. Magical, right? So, to make it clear: when you type “google.com” into your browser, computers actually see the following string of numbers: 216.58.206.46, and they know exactly what website you are looking for. This wouldn’t be possible without the domain name system (DNS). DNS is made of thousands of computers that are called servers; servers are responsible for hosting websites and they are to thank for the seamless communication between computers on the web. 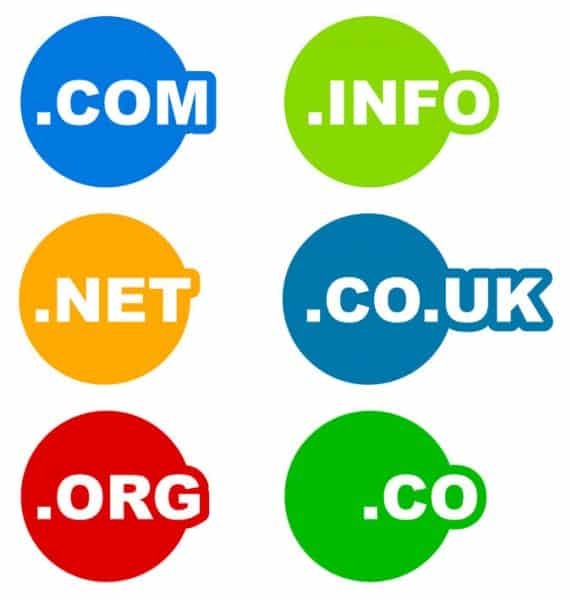 Read here more about domain names and how they work. 2. What are top-level domains (TLDs), as opposed to second-level domains (SLDs)? Each part of the domain name is a precious piece of information that’s used to identify the website in question. So, different segments of the domain help browsers to locate the web page. Even though top-level domains and second-level domains might sound like they mark different types of domains in terms of quality, this has absolutely nothing to do with it. A top-level domain represents the last segment of the domain name. So, it’s everything located after the final dot in the internet address. It’s also referred to as “domain extension”. Top-level domains include .com, .net, .me, .info, .org, and many more. A second-level domain complements the top-level domain. It is a part of the domain name located left of the final dot. So, if you look at the example of “google.com”, .com is the top-level domain, while “google” is the second-level domain. It’s that simple. 3. Are some TLDs better to be avoided as they are considered spammy? The way people act online has consequences and so some TLDs are indeed more connected to spammy behavior than others. Such is the .xyz domain, notorious for spamming and distributing malware. However, in 2015, Google officially stated it treats all TLDs the same, that is – the search algorithm doesn’t have any specific domain extension preferences that could lead to ranking boosts for some TLDs. Bottom line is, the sole choice of TLD does not instantly make your website an epicenter of spam, nor does it result in poorer rankings. In case you are buying a previously owned domain name, you need to take some precaution steps and investigate whether or not the domain in question has ever been involved in some malicious activities. As for us at Domain.ME, we have established a strict no spam policy to prevent domain name abuse and contribute to the safety of all web users. To prevent becoming a victim of a phishing attack, read our blog post on the topic. 4. I’m confused: what are domain registrants, and what are the domain registrars, resellers and registriers? A person who wants to register a certain domain name is a registrant. So, we’re talking about the end customer. When you want to register your domain name, you reach out to either resellers or registrars. Resellers are those who register on behalf of registrants, but they do not have a contractual relationship with ICANN (more about this non-profit organization within the next section). Resellers are, for example – web hosting companies. Registrars are accredited organizations that are responsible for processing the registration of domain names. That’s what we at Domain.me do. Registries refer to authoritative master databases that store information about all domain names, including the associated information about the registrant (i.e. a domain holder). Even though the process of registering a domain name is quite simple for you, it does involve a fair amount of administrative procedures and regulations. So simply put – registries are organizations responsible for handling general administration regarding top-level domains. They eliminate the possibility of one domain name being registered twice and ensure the Internet stays lovely organized. 5. Who is responsible for managing domain names? A non-profit organization called Internet Corporation for Assigned Names and Numbers (ICANN) is responsible for DNS management, IP address allocation, and managing databases related to namespaces – all that in accordance to highest security standards. So, whenever someone as a registrant tries to register a domain name, this request goes through either a reseller or a registrar, and then reaches registries that check if the domain name is available and provide name servers. ICANN oversees the assignment of IP addresses and domain names, thus providing the foundation of WHOIS information. 6. 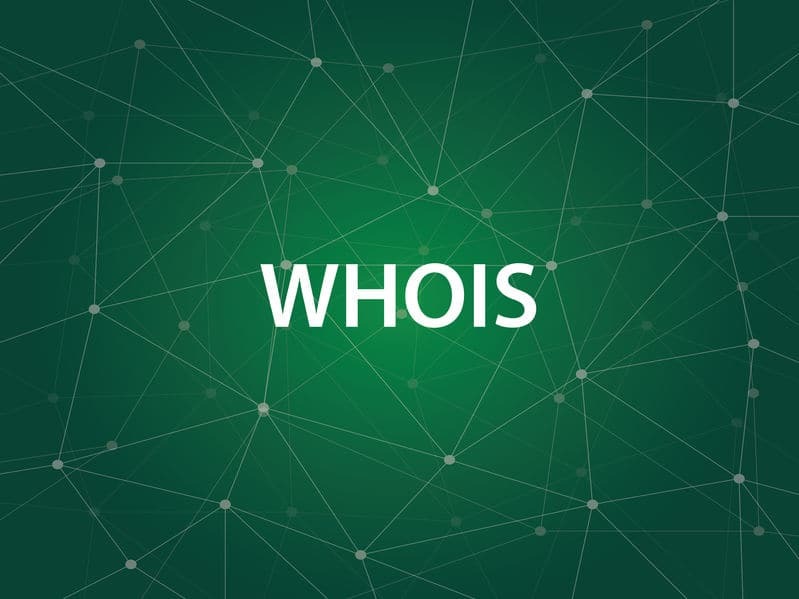 And what is WHOIS? WHOIS is a query and response protocol that provides information about the domain holder, the date of registration and expiration, whether or not the domain name is available, etc. You can check WHOIS information by searching for an available domain name on our homepage, let’s see how it works. In case the domain already exists, you’ll be able to see the WHOIS information below. For instance, type in “brightside”, which already has a registered domain with .ME, or simply click here to see the results. 7. What should I know before registering a domain name? Read more about the legal side of finding the perfect domain from the expertise of our CMO, Natasa Djukanovic. 8. How do I register a domain name? Whether we’re talking about choosing a registrar or your hosting service, you need to be careful not to get tricked by business. Always double check sign up prices and renewal fees. Ask for the list of supported features and know what you are paying for. Also, hosting services have to be crystal clear regarding the level of security and protection they offer, so ensure to tick the safety box as well. 9. Why do I have to renew my domain? Can’t I just buy it? Although the phrase “buy a domain” became widely used as you do make a purchase during the registration process, it’s not a completely accurate expression. You cannot actually purchase a domain name for life, but you can continue “renting” it, year by year. Assuming that you want to stick with your chosen domain name, most registrars offer automatic annual renewal option. So, why is that? Why can’t you buy a domain name? The reasons are economical and it’s actually common sense. ICANN leases you your domain name for a fixed period of time, usually a year. The operating costs for domain registry increase with company growth and inflation, and so does the number of domains that are under its management. So, the registry would have to increase domain extensions’ prices in order to address these costs, which isn’t really a good outcome for businesses. Although the phrase “buy a domain” became widely used as you do make a purchase during the registration process, it’s not a completely accurate expression. Renewals are actually a smart thing in the broader picture. In addition to this, ICANN charges something that’s called “domain tax” and it’s about $.18 per year. Having all this in mind, the most precise expression would be to call someone a “domain holder” instead of a “domain owner”, as you never really own the domain name. 10. Is choosing a domain name really important? How do I choose a good one? Great domain name goes a long way and it can truly make or break your business. It is the core of your branding strategy: it can help you build strong brand visibility, recall, and recognition, while also contributing to emotionally attaching people to your company. Read more about why choosing a good domain name is important for your business. As for building a personal brand, some people see it as a no brainer: they simply use their name and surname. This is a great way to gain full control over your online image, as your website will be optimized for your name and so – it will pop up on the SERP the moment someone googles it. However, it’s not the only way you can brand yourself nor it is the rule you must follow. Check out Michelle Nickolaisen for instance: her domain name is chelleshock.me, which seems like a combination of a nickname derived from her full name (“Chelle”) and “shock”, which is a powerful notion. In addition, with .ME – the full domain name is melodic and and alliteration makes it so memorable. You can even use some general noun that’s meaningful to you or to your career, and then build a story and your personal brand around it. In any case – you shouldn’t rush towards registering a domain name. Give it a bit of time, brainstorm, explore different options. FYI, Domain .ME has been recognized as the most personal TLD across the web, suitable for both businesses and those looking to build personal websites. Read here about the best methods of choosing a great domain name. 11. Do I need to trademark my domain name? If your brand name matches your domain name, you should consider getting a trademark so to legally protect your business. Having a trademark protects your business from infringement and the benefits of it become even clearer if your company is planned to operate fully online. Depending on your location and other factors, you can trademark your business name for between $100 and $400. Some companies decide to register multiple domains as a cheaper alternative of preventing brand thefts in the digital space, as well as domain blackmails. Cybersquatting is a real issue. Luckily, thanks to the Anticybersquatting Consumer Protection Act (ACPA) – U.S. citizens are protected, while the international arbitration system of ICANN provides the needed protection for those outside of the U.S.
12. What are premium domain names? Would you ever pay $90 million for a domain name? Well, believe it or not – that was the price of the most expensive domain name in history, lasvegas.com. Yep, premium domain names are often much more expensive than other ones and can reach astronomic figures, for many different reasons. Incredibly easy to remember with great branding potential, premium domains are already owned, either by individuals and organizations, or the registrars themselves. The process of getting a premium domain within Domain.me is a bit different than the usual registration, as they are not being sold with other domains. If you want a premium domain, you need to apply for the purchase: our mission is to match the best .ME domains with best projects, websites, and services. 13. Is flipping domain names a profitable business? Some say you can easily turn $10 of domain investment into $100 profit, or that investing as little as $1 can lead to reselling the domain for $20. Needless to say, there are a lot of variables at play here, but investing in domain names can truly pay off. In most cases, domain investors register domains that they believe will be popular in the future or they focus on high profile ones that have great potential to become valuable with time. It’s always a good idea to invest in domain names that are actually geographic names or short and generic notions, or even better – the combination of the two. Success comes down to anticipating trends that are just heating up. According to the statistics from 2016, domain industry is worth over $4 billion and it continues to grow. So, there is definitely potential hidden here, but you have to be smart to tap into this market. Read about useful apps that can help you find available domains and make money, one of them being GoDaddy Investor. 14. Does your domain name affect SEO? Search engine optimization (SEO) refers to a set of practices and techniques which are employed to increase the amount of organic traffic that comes through search engine queries. Given the fact most users rely on Google to search the web, webmasters try to follow Google Guidelines in order to rank well on this search engine page result for relevant keywords. Google’s ultimate goal is to offer the best possible user experience by offering only the most relevant results for each user that types in a certain word or a phrase. When you take in mind 93% of all website traffic comes from a search engine, learning SEO is recommendable for all webmasters, regardless of the industry they operate in. However, Google’s complex algorithm takes in mind over 200 ranking factors, of which not all are equally important. One group of ranking factors that are related to domain is called domain ranking factors. Domain ranking factors are not always in the spotlight when it comes to discussing SEO practices that bring results. However, they do matter and should not be disregarded, especially in terms of online security. In this context, people from the SEO industry mostly focus on discussing the role Domain Authority or exact-match keyword domains have. But, if you’re interested to know everything there is about this topic, you can read through our eBook The Secrets of Better Rankings: SEO and Domains that includes comments from industry experts such as Neil Patel, Dan Shure, Sean Si, and Rad Basta. 15. How can I build a website after registering a domain name? Building a website today is not as hard as it was in the early days of the internet. There are tons of companies and freelancers that can help you create the exact website you imagined in your head. The price depends on your requirements. Most website builders function as a one-stop solution as they offer included web hosting service, 24/7 support, and even SSL certificates. However, many people (especially those looking to build their personal brand) turn to the DIY approach and handle everything on their own. Thanks to the drag-and-drop technology and extremely intuitive and simple interfaces of website builders, you don’t even have to know anything about coding. You can focus on the visual appearance of your website and arrange its segments as you wish. Most website builders function as a one-stop solution as they offer included web hosting service, 24/7 support, and even SSL certificates. This makes them a rather popular choice today. Check out our extensive list of free and affordable website builders and build a stunning website for yourself today. 16. Can I register a domain name without hosting it? As we already mentioned within the answer to the eighth question of this list, you do not have to build a website or pay for additional hosting services the moment you register a domain name. The moment you register your domain name, registrars associate a placeholder website to it with little content. The amount and type of content depends on the registrar you’ve chosen. This is called domain parking. 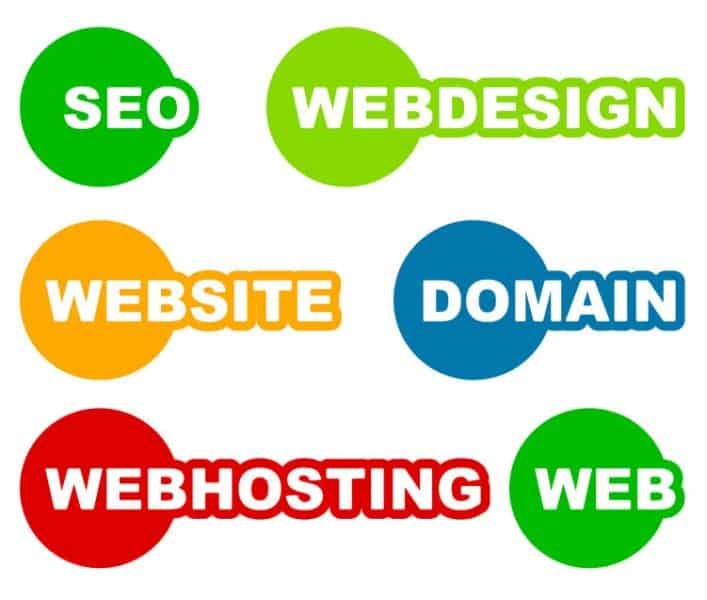 Of course, to actually make a use of your domain and build a website, you need to choose a hosting service that will support your needs. In case you want to create a website, you shouldn’t leave your domain parked for too long. 17. What is a subdomain? Do I need it? We have covered the topic of subdomains thoroughly in our blog post, so we recommend you to read it through. 18. What if I want to change my domain name? Changing your domain name can be beneficial for your businesses, whether in the context of rebranding or reaping some local SEO benefits. We have a detailed step-by-step domain migration guide, so check it out for a risk-free process of moving your domain. 19. How do I keep my domain safe? Unfortunately, cyber crimes are getting more sophisticated. When it comes to domain safety, the burning issues remain cybersquatting and domain hijacking. Owning an SSL certificate is not an extra layer of security anymore, but a necessity. To ensure your domain name is safe and sound, read our ultimate guide to domain safety. There you have it – we tried our best to cover the most frequent questions people have about domain names. So, are things a bit clearer now? If you have any further questions, you can check our dedicated FAQ page and of course – don’t forget to browse through our blog and inform yourself about the domain-related questions directly from our experts. If you finally feel ready to put your idea to reality, register your .ME domain and start building a stunning website. Check if your desired name is available here!